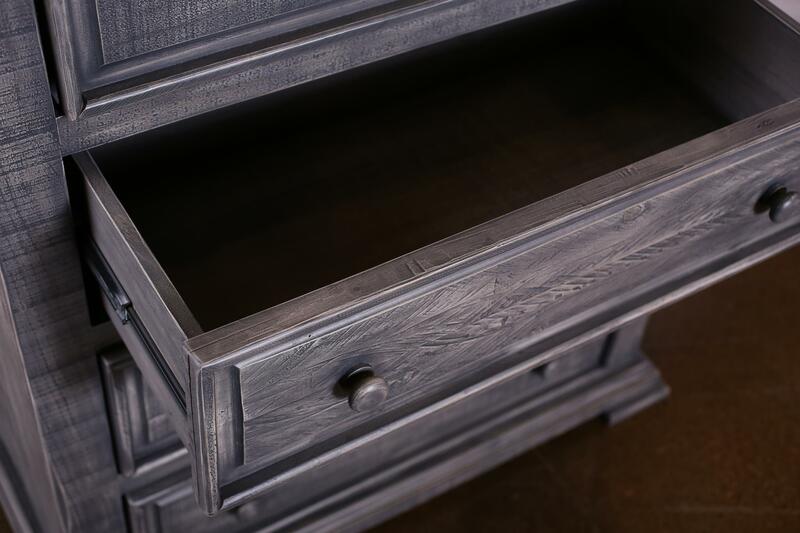 Weathered and brushed to create an Antiqued Dark Grey finish. Gorgeous hardware featuring a dark brass patina. Sometimes a bedroom can only accommodate a vertical dresser; other times you may want to keep things as simple as possible in your Mexican bedroom to maximize the view, keep things tidy, create a more spacious environment. 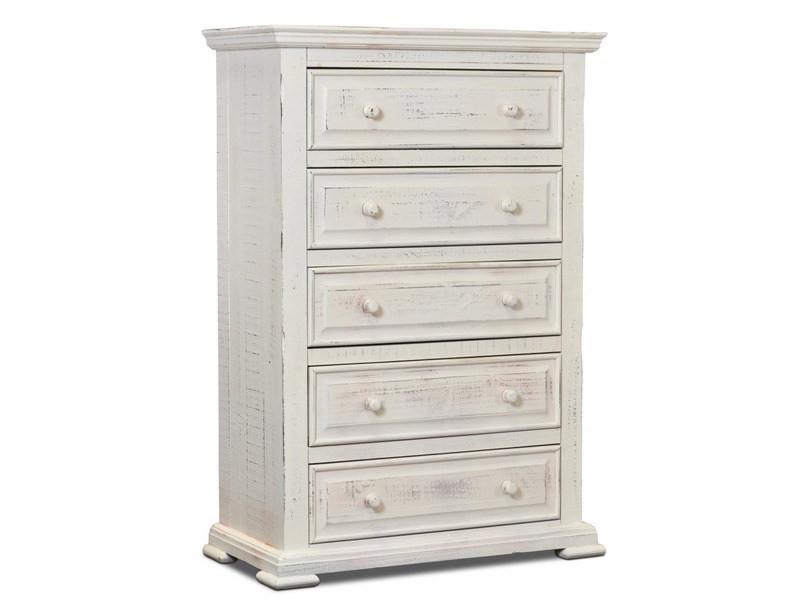 Our Restoration 5 Drawer Chest is quite lovely and absolutely gets the job done. 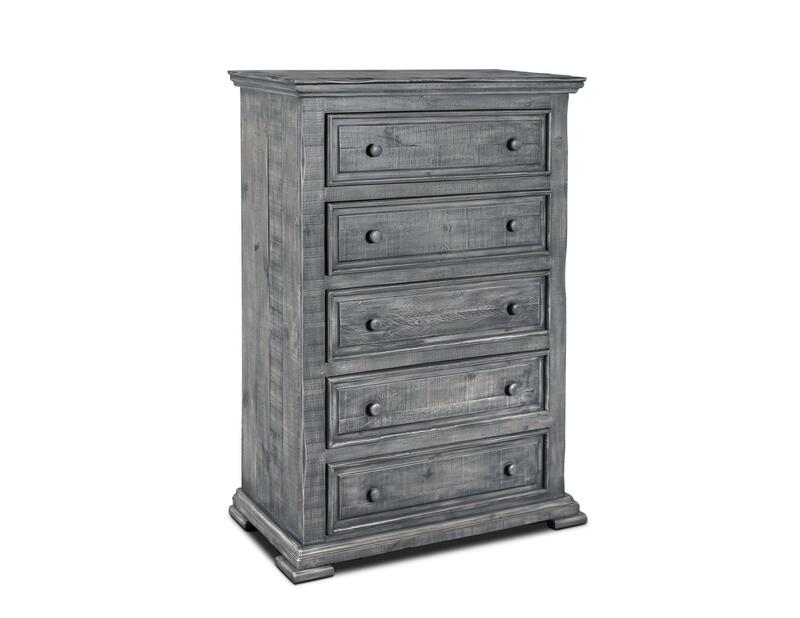 Solid pine wood, weathered and brushed to create an Antiqued Dark Grey finish. Gorgeous hardware featuring a dark brass patina. 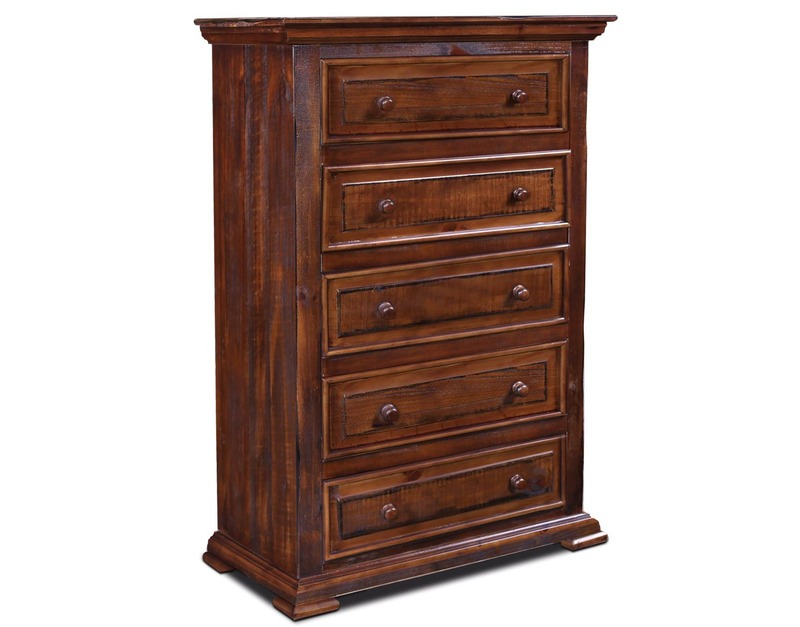 Elegant and rustic with a most certainly modern edge.